Tonight’s stop on Joe Bonamassa’s uk tour saw him playing to 3000 fans at the Genting arena in Birmingham. As always he plays with no support act and comes on stage at 8pm. Luckily these days most people know he does that but I did spot a few people arriving nearer 9pm (the time. Last headline acts start) and looking surprised to find him half way through his set. As usual he comes on and is straight into the first song, and over the course of the first half of the set he doesn’t speak much to the crowd, letting the music speak for him. After playing “How deep this river runs”, he introduced a special guest, Bernie Marsden who joined him on stage to play the Albert King song “Breaking up someone’s home”. It was great watching them play, as both played together and each did a bit solo while the other watched – it’s clear these two have a lot of respect for each there’s talent. After Bernie went off, Joe took a few minutes to introduce and praise all the musicians and backing singers he has on tour with him. It’s nice hearing a band introduced so well, rather than the usual “on drums, Fred smith, on guitar, joe bloggs etc” that most bands or performers do -Joe Bonamassa took the time to say where each was from, how long they’ve worked together and mention some highlights of their careers. In the last part of the set we get a couple of Led Zeppelin covers (“Boogie with Stu” and “How many more times”). It’s nice to hear someone covering Led Zep and not doing one of the obvious hits, but instead choosing songs that they particularly enjoy. The night come to an end with a superb rendition of “Hummingbird”. 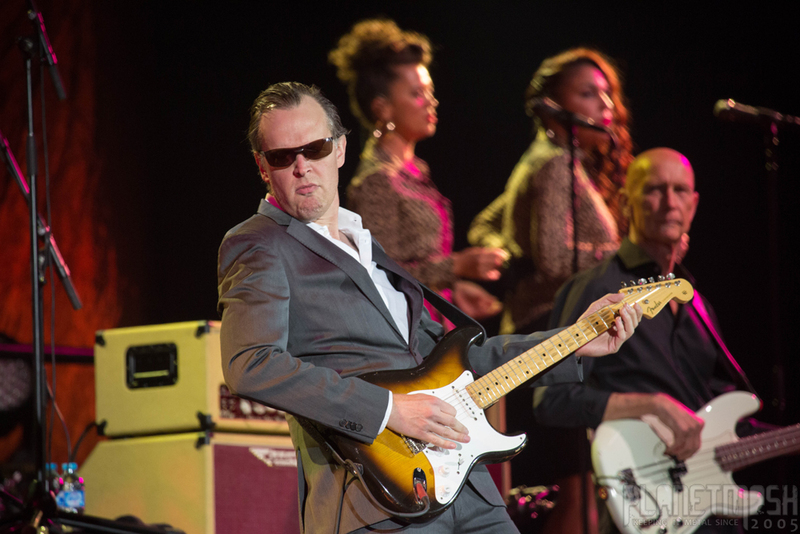 Joe Bonamassa is an incredibly talented guitarist whose love for the blues is plain to see. With his extremely talented band, he always puts on a great show, and it’s always different to his last tour. 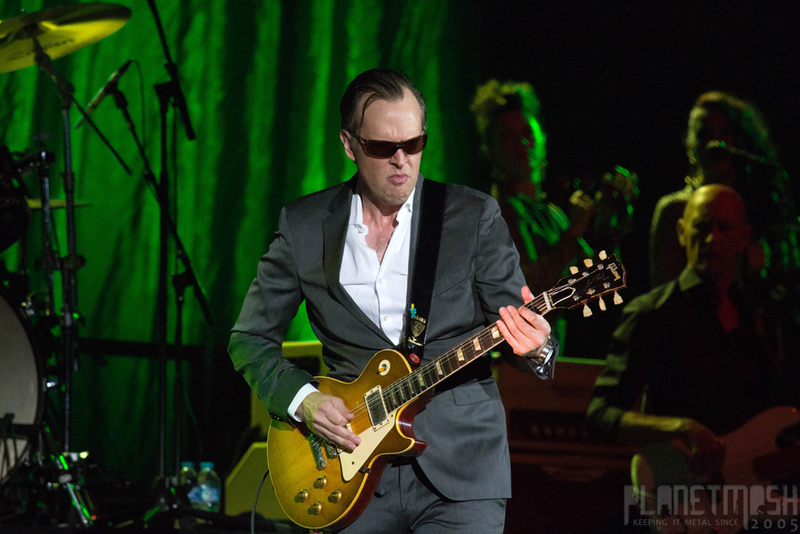 While many bands have a core of their hit songs that they always play, and just tinker round the edges of the setlist by adding or removing a few songs, Joe Bonamassa is happy to miss out some of his best known songs to make sure the fans get to hear a completely different set every time they see him. As always, tonight was a great show – Joe Bonamassa never disappoints.